You already understand this with tools, no doubt already familiar with the glance screen. We just repeat some of the default user to Glance Lumia or cell phone Microsoft. Glance screen is a Dim screen in Microsoft with instill Sleep mode, as a sign that the screen is locked. 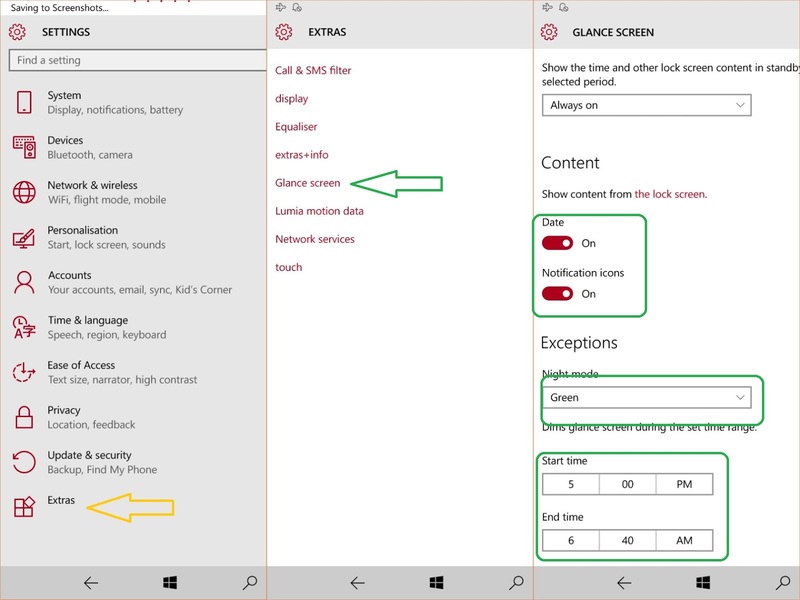 The display screen of the Glance, has thick and Black background only showing: times, dates and notification in appropriate settings on a Windows Mobile phone users. Display time, date and this Notification turned out to be the color settings to your liking. From the start the color red, green, blue and white (default). The color display, it can be in the settings of his time-restricted hours (example: Starts: 5AM. End: 5 pm). Please adjust your screen in glance settings: Settings MENU> Extra> Glance screens. You are on the website page WINDOWS MOBILE PHONE - setting and Upgrade. Setting glance screen WP 10 With the link URL http://hand-uk.blogspot.com/2016/02/setting-glance-screen-wp-10.html for this articles, you can bookmark or share to any. Our expectation that Windows smart phone users, can understand and know about OS Windows phone. 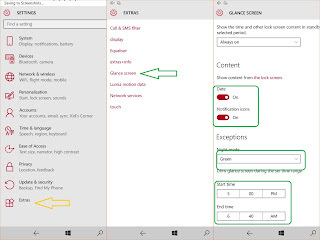 Setting glance screen WP 10 Is a link for you, How to use the pure smart phone.